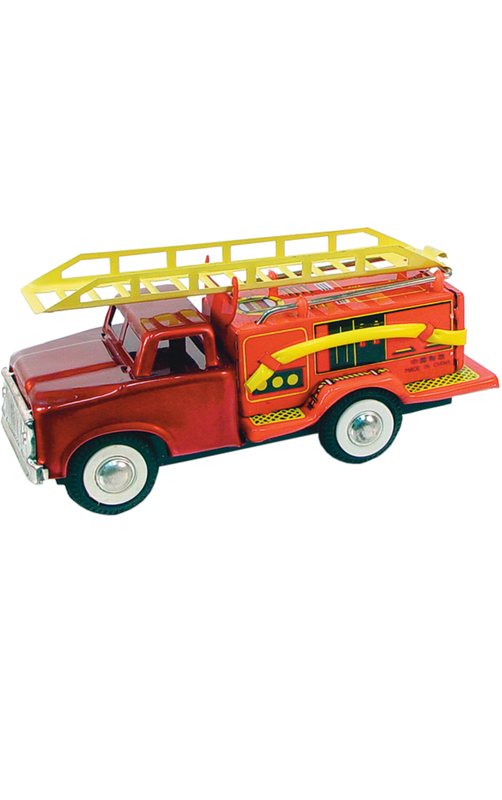 JMF163 - Tin Toy - 2.5H x 2.5"W x 6"D"
JMF163 - Collectible Tin Toy - Fire Truck - 2.5H x 2.5"W x 6"D"
Red tin fire truck - ladder rotates and moves around! Made in China. Friction motor and siren sound effects. Recommended for ages 3+.